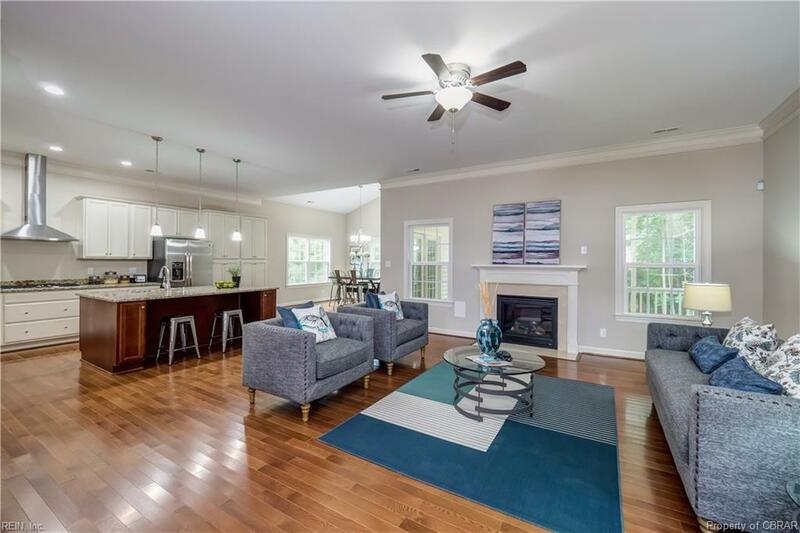 MM The Jasmine, Williamsburg, VA 23188 (#1832316) :: Abbitt Realty Co. 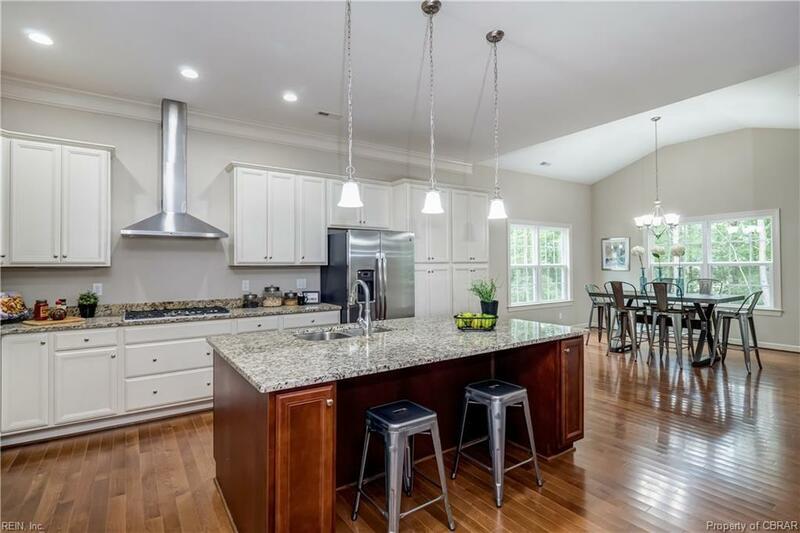 The Jasmine has an open floor plan, 10 ft ceilings on the first floor plus vaulted ceiling in the dining room. 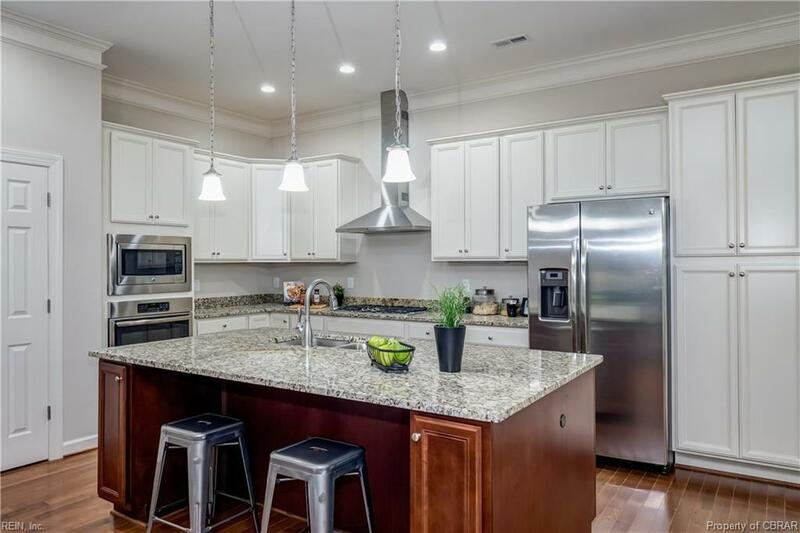 Kitchen granite counter tops, breakfast bar, cabinets galore, and stainless appliances. Master Bedroom suite with private bath featuring spacious two-person tiled shower. And a finished room over the garage/4th bedroom/bonus room with full bath. Great room adorned by a cozy gas fireplace with marble surround makes it great for entertaining. French doors look out to the rear deck. 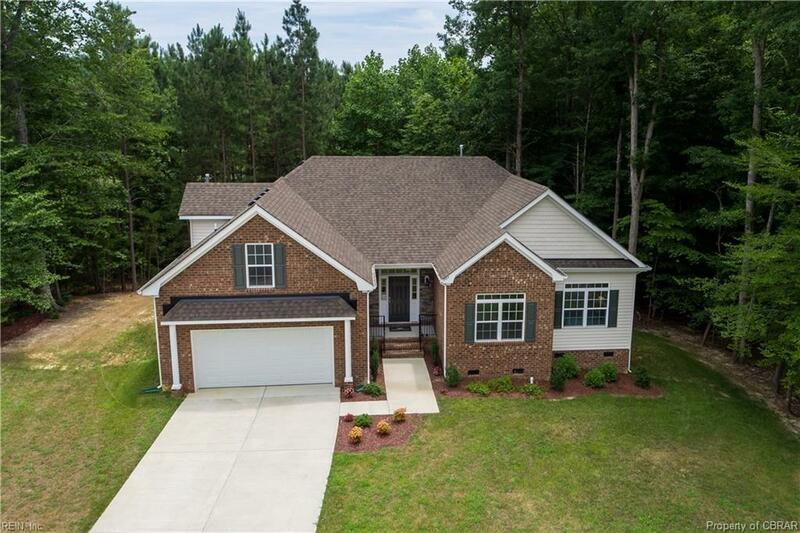 An 82 home customized, environmentally friendly community with lots of open space a lake and nature trails, ball fields, tot lot and a wonderful pavilion with several grills where the homeowners gather for community pot-lucks and can be used by all residents. rolling terrain so basements are possible and side-load garages. Located minutes from York River State Park that has so many fabulous programs, estuary research, equestrian and bike trails, boat launch and canoe & kayak rentals, fossils and archeology information to name a few. Less than 1 mile to I-64 means an easy commute. 10 min to Newtown. 15 min to merchant square/William & Mary 40 min RIC airport.